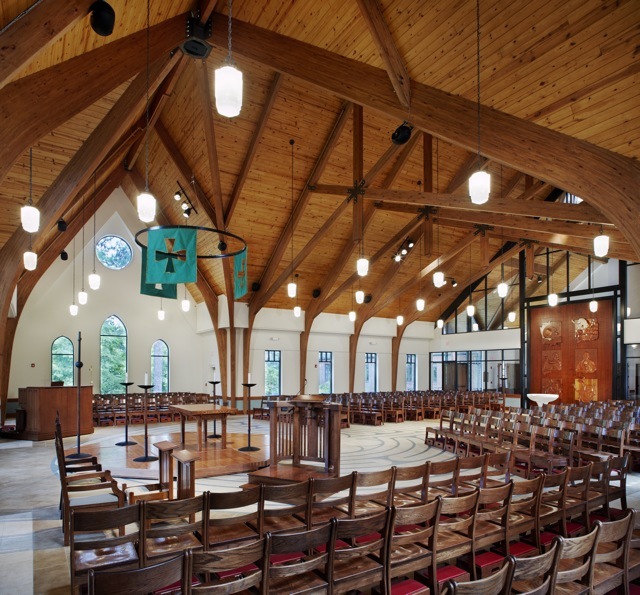 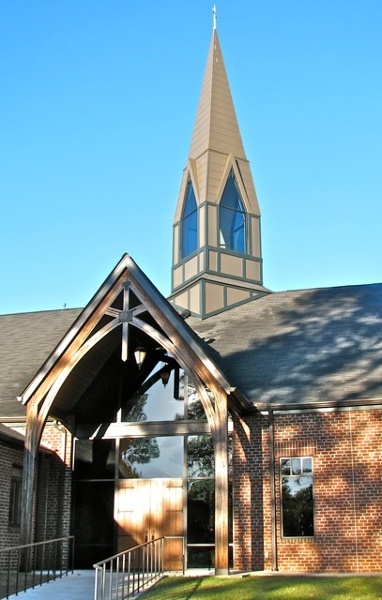 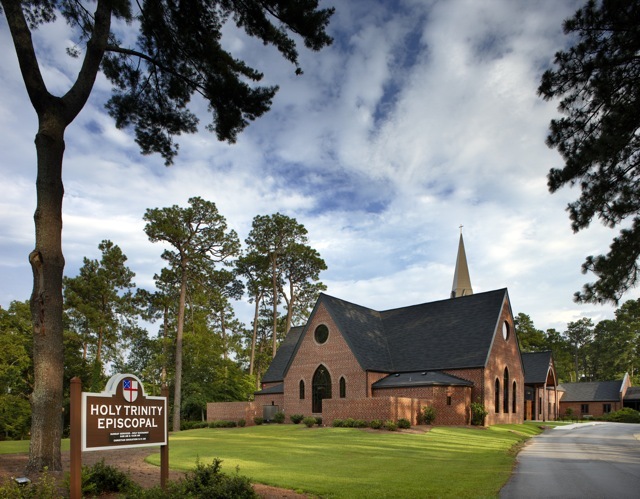 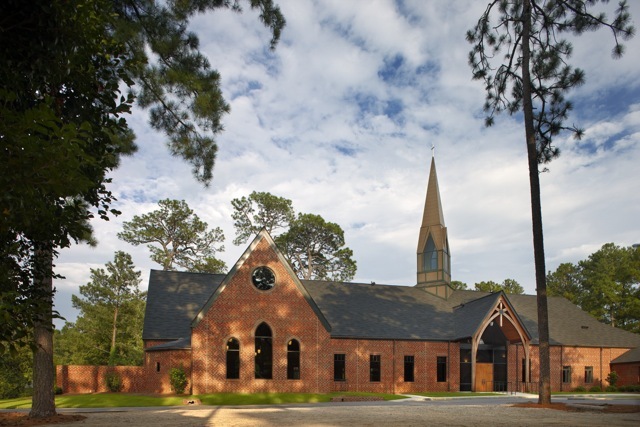 The biggest challenge for Holy Trinity Episcopal Church in Fayetteville, North Carolina was bridging the gap between members who wanted to keep their existing chapel and those who realized it needed to be expanded. 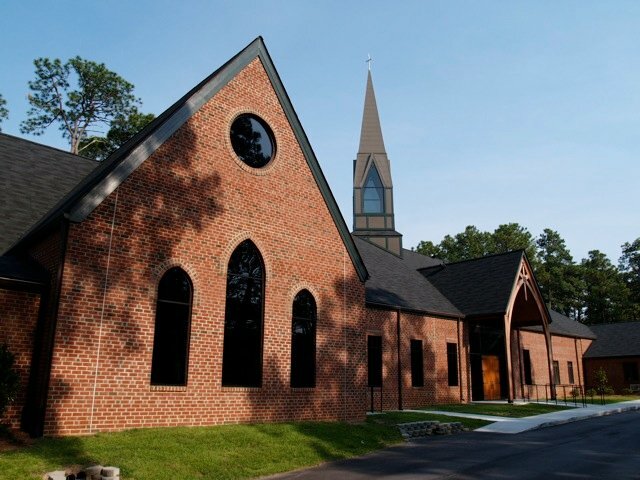 Since the 1960's, when the initial church was built, the congregation had added a day-school facility, new kitchen, and expanded meeting rooms - but the limitations of their original church building were constricting growth in all areas of ministry. 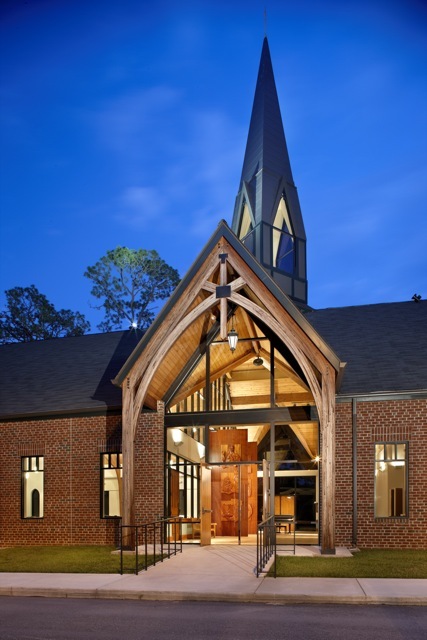 Through meaningful exchanges during the master planning process, a consensus grew in favor of the thoughtfully designed replacement church. 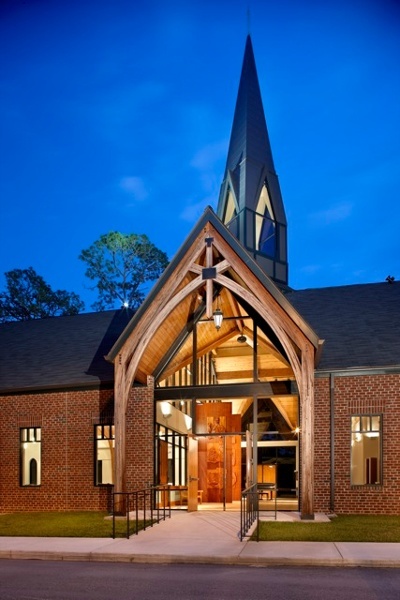 The new structure would triple the seating capacity, yet exterior gables were scaled to match the proportions of the old church. 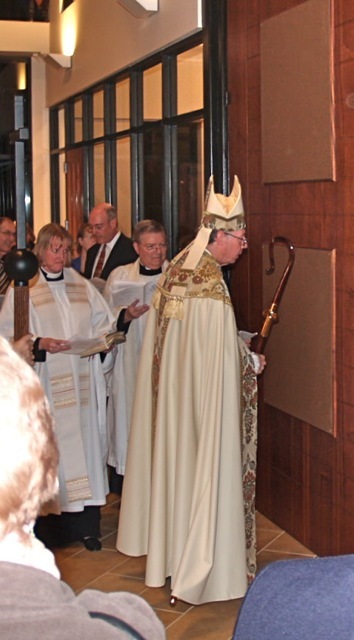 The new building also joined the two parking areas with identical entry doors leading to a new narthex, which connects the new church to the rest of the existing buildings. 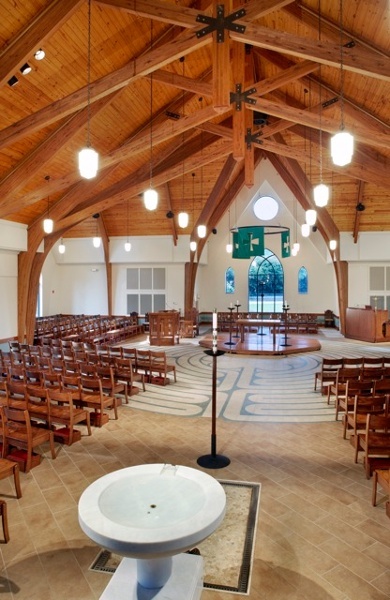 The interior worship space was planned to maximize flexibility. 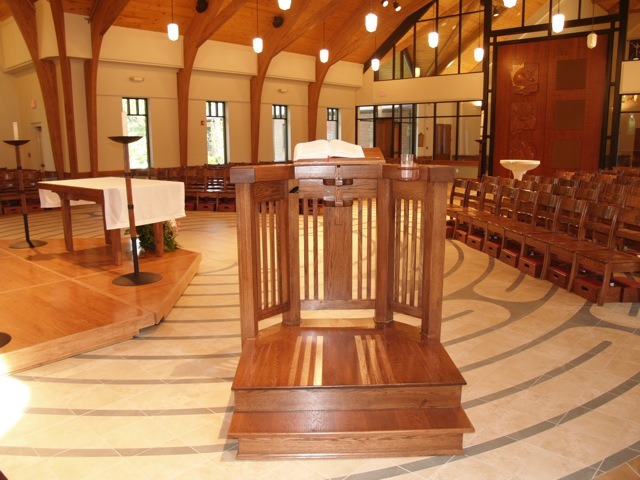 Though the architects used traditional design motifs for the pulpit, table, and sanctuary platform, nearly all the liturgical elements are movable. An ornate tile pattern in the floor creates a full-sized labyrinth that is available for private prayer during the week. The one fixed liturgical element is the baptismal font, located at the entry. 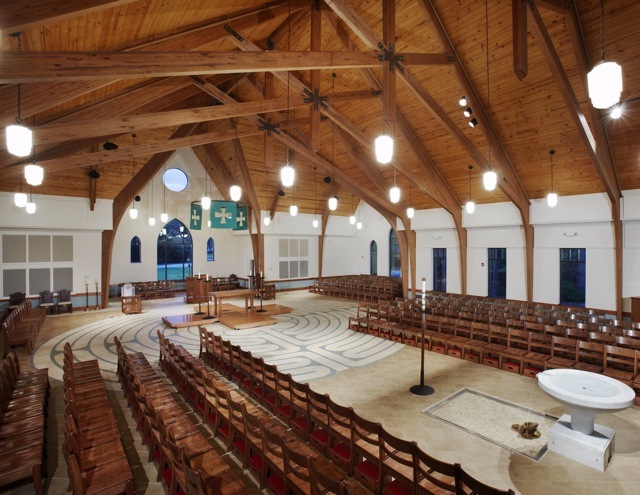 The architects designed the urn-like font from carved white marble. 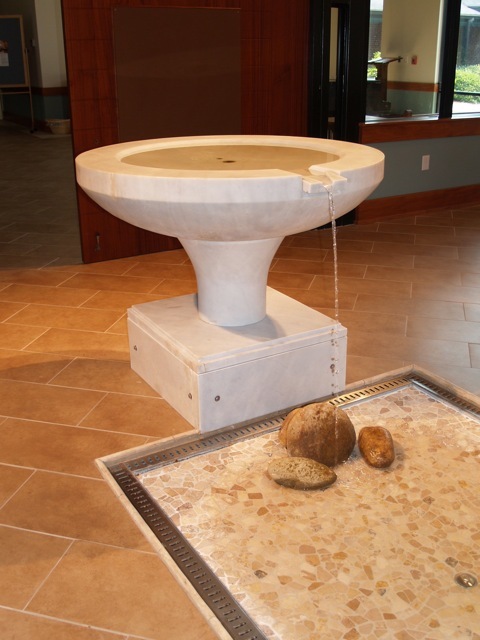 The water flowing into a shallow pool is symbolic of the baptismal waters bringing new life from death. 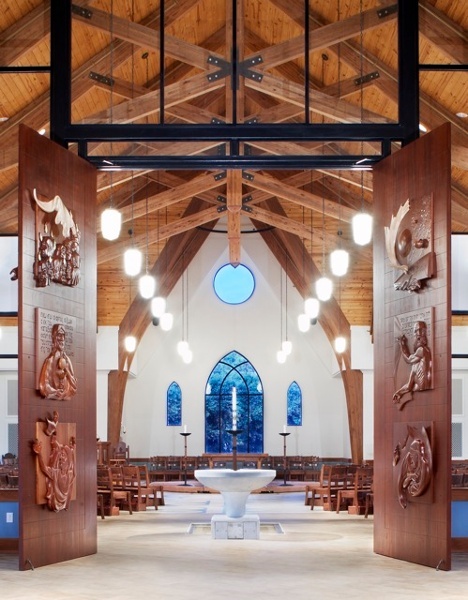 A pair of tall ceremonial doors connect the narthex to the worship space. The celebrated liturgical artist, George Hoelzeman, was commissioned to carve twelve panels depicting the mystery of the Holy Trinity. 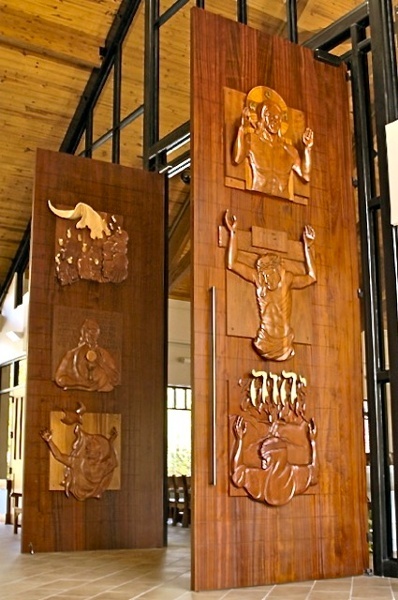 The upper panels are carved in high relief, while those at eye-level are smoother, inviting visitors to stop and touch the panels.